The mermaids are really magnificent creatures but as humans, they can get bored of the same look after a while so in this makeover game you will get to make a sea creature really happy with just a few simple make-up and hairstyle changes. The chicken shawarma is an old recipe of a fast food dish and it is quite common around the world, but in this cooking decoration game you will have loads of fun making one of your own, choosing all the ingredients that you like. Can you take the role as interior designer for this thanksgiving day? Take your pick in decorating this dinner table. Show your decorating skills in this dinner room. Place it in the perfect place for all these items and create your own. If you need some inspiration, scroll over Hint. Have fun! Winter season brings a new excited nature of fashion. Every new collection has something unexpected beautiful and fabulous. Shanna is a fashionable girl and she wants to renew her wardrobe with more sophisticated winter clothes. Join her, in a trip, to Paris and help her buy gorgeous outfits and then dress her up with the most fabulous one. Then give her a trendy hairstyle and pick glamorous accessories. Have fun! The sleeping beauty needs your help to get rid of the freckles and also she wants a whole new look after sleeping all these years. Try your best in this makeover game and make sure her new style is amazing. Barbie is cooking a luxury cake filled with good looking, tasty cream and decorated with shiny, fabulous diamonds. This cooking creation reflects Barbies passion for beauty, glitter and haute couture fashion. Decorate the most shiny and luxury cake with your favorite Barbie doll. Adrianna is home alone. She is very bored, and she thought that she should make something useful. She had some ideas, but the final one was to make very delicious chocolate flavored cup cakes. Adrianna wants to cook them, and after she is done cooking, she must decorate them. The cup cakes must look very nice and taste very delicious. Her mother will come soon, so she will judge the cup cakes, and will give the final verdict, so Adrianna will know if they are good or if they aren't. Adrianna will need your help to decorate them with different flavors. You should get started, and have fun creating the best chocolate favored cup cakes! Check out this fun defense game and you will certainly help the forest by keeping the aliens at bay. Do your best to place turrets strategically all over the map where you will see the aliens coming in order to kill them all. Allison is celebrating her birthday tomorrow and she wanna look fabulous and impress everybody with her fashion skills. She just comeback from Milan with a gorgeous dress and what she needs right now is a fabulous manicure to look fancy and stunning. Can you take her to a nail salon and make sure she gets a lovely nail design? You can pick the nail shapes, nail polish, stickers, a beautiful ring and a cute bracelet to go with her outfit. Enjoy! From today you are going to have a huge responsibility. your sister bought three cute cats but she is rarely at home. It is your job to take good care of the nice pets. Try to understand that they are all different and you can not feed them the same. They are used with different tastes so serve them with what they like. Do this for your sister and maybe you will get a reward for it. Have fun! Well, hello to you all! Guess who is back in business! Let me tell you, is Mario and he is more determinate now than ever. Our Super Mario is once again chasing his old enemies through the caves and obstacles, shooting around all that is a threat to him. Grab a weapon and come help Mario to advance centimeter with centimeter and eliminate all the enemies by shooting them. There is no time to loose, time meas life and good points. Good luck, folks! The princess needs your help in this make-up game as she is about to meet her prince for the first time and she wants to make a good impression. Have fun choosing the color of her hair, lips and foundation. 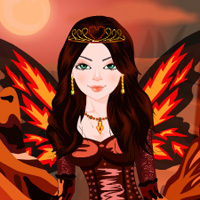 Dress up the young fire queen for an outdoor event of elemental queens. She didn't get out of her cave for a while so she is not aware of the latest fashion trends. Make sure she follows your fashion sense by dressing her up with the most beautiful clothes. Frankie Stein, from Monster High wants a new dress up again. She is tired of her old dress up, and now she thinks she must have a new one. Frankie wants to be the coolest girl in the Monster High, and even the coolest on the Earth. Because she didn't like any of her previous designers, she will give you a chance to dress her up. It will be hard to find the perfect outfit, but for a good stylist like you it is piece of cake. So get started and make the best dress up for the popular Frankie Stein. Have fun! Primates are very intelligent creatures, and the one in this skill game wants to take a nice break from the jungle and get a nice view of the city. To do this it has to climb up on top of these skyscrapers, but there are lots of dangers that might make it slip and fall. The summer is here and it seens that is very hot and because of that we need to refresh a little bit with a delicious ice cream. 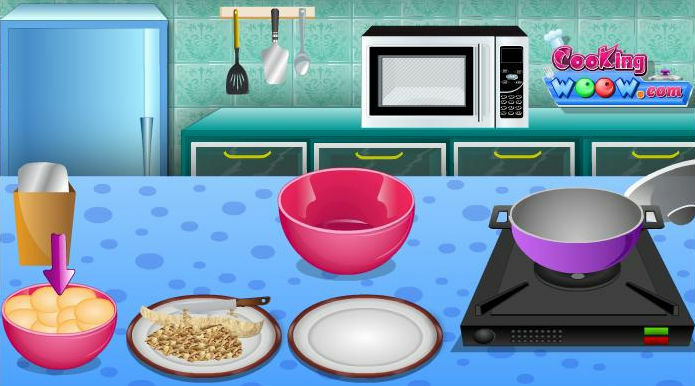 In this ice cream game you can start decorating your own ice cream for you and your friends using a lot of decorating ornaments, a various types of fruits and others that you can find into the game. John F. Kennedy is president, Beatle mania is about to sweep the globe and every girl is wishing she were Marilyn Monroe... can you guess what year it is?! It�s 1962! 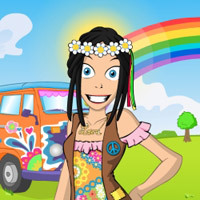 That�s right, in this hippie dress up game you'll get to jump in a time machine and traveled back to the Swinging Sixties! Janis the hippie is going to show us how to dress up so we can fit in here in the 60s. Groovy! This summer there is a new dessert trend. The most voted recipe of the season is the orange cake. It is very delicious and tasty, and it leaves an amazing flavor in your mouth.It is not very hard to cook, so that's a point extra. Your entire family is coming on Sunday for dinner, and you want to surprise them with a delicious dessert. So you need to get started and cook this amazing orange cake, and the best part is that you will find all the steps in the game. Help Maila dress up as a real Hawaiian princess before the big luau on the beach tonight! Lei, grass skirts, coconut bikinis, ukuleles... you'll find tons of tropical items in this Hawaii dress up game! The battle of the year is here! There is no favorites, no friends to help and no team to survive for you. You are on your own, so be smart and make a good team with Zuma. Fight together in order to destroy all the colored balls that blocks your way out from this cave of fear. Use your speed and mind skills to shoot all balls at the proper time. Good luck! Welcome to Celeste's cooking class. If you are here for the first time don't be nervous, Celeste will explain you step by step what to do. Today we will learn how to make a delicious rice pilaf. Follow Celeste and add ingredient by ingredient in the pot, mix it and cook it until is finish, then put it on a plate and add fish meat. Enjoy! Ol�! Ready for a challenge? Today you�ll be dressing up as a bullfighter before you jump into an arena and race with the bulls! 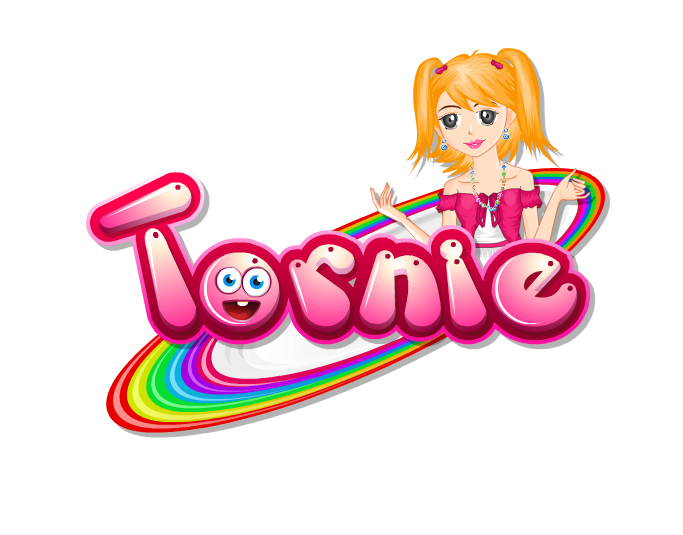 Choose a colourful outfit and become a real torera in this dress up game for girls. In the mystic Far Away forest lives a very beautiful fairy named June. While she was in a special mission to keep the children's dream alive, she met a very handsome boy. When their eyes met, they fell in love, it was love at first sight. Even if is against the rules to date a human, they are dating in secret. Help June choose a nice outfit for the next date and impress him with her beauty. Pick a stunning dress, cute accessories, sparkling wings, nice shoes and a stylish hairstyle. Enjoy! This is a pedicure game in which you will get to decorate your toe nails with some Monster High ornaments. They are growing very popular and you will be one of the few that have such a great pair of feet. Create the best looking nails in this Monster High manicure game and you will be envied the whole semester for having the prettiest colors on them. Add a ring or two and even bracelets to further accessorize your staggering look. National Gallery is another point and click hidden object game from Games2dress. It's the time to use your observing skills to discover the hidden objects in a national gallery. Find the hidden objects in short duration to get high score. Good luck and have fun! Now that the summer is here, this cute girl is preparing to go to the pool with her girl friends, but she is a little bit confused about what swimsuit to wear. This is the time where you need to interfere, because the last choice will be yours and she will wear the swimsuit that you like more. 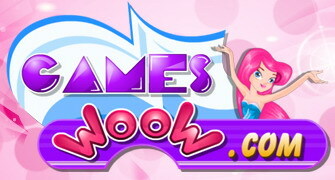 Beyond this you can also select some swimming accessories for her, make her hair and other cool hottie accessories.